DFG is committed to user safety. Therefore, DFG has chosen to have our machines ETL certified rather than CE certified. This means the machines you buy from DFG are certified by an impartial third party to make sure your safety and the safety of your employees is guaranteed. To learn more about CE and ETL certification, please read below. CE is a marking on a product that indicates the product has met European health, safety, and environmental requirements, which ensure consumer safety. CE is self-imposed and is generally very inexpensive. In order to have CE stamped on the product, the company manufacturing the product must have documentation on hand that details which applicable European Directives it passed. Consumers are encouraged to request copies of CE certification if they have any safety concerns regarding a product. ETL is a marking on a product that indicates the product has passed a safety inspection. Electrical Testing Labs is an impartial third party that was formed to address concerns of lamp safety and performance issues. Thomas Edison’s vision was to provide assurance to consumers, through various types of product performance and safety tests. 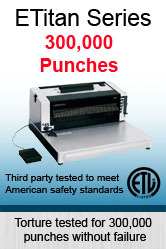 The basic principles of Edison’s third-party lamp testing methods remain the same today. Experts monitored lamps and bulbs to determine how long they would burn, the luminous intensity, and if everything burned as it should – without combustibility or explosion. The ETL Mark is an accepted seal of product compliance in both the United States and Canada. Through the scope of worldwide accreditations, Intertek is authorized to furnish the product safety marks required for sale and distribution in other countries. The ETL Listed Mark is recognized by local inspectors and Authorities Having Jurisdiction (AHJs) throughout North America and also in some areas of South America. As Intertek is an NRTL recognized by OSHA, the ETL Listed Mark is an accepted alternative to UL and, as such, inspectors and AHJs recognize, acknowledge, and accept the mark as proof of product compliance. Amway Corp, JCPenney, Sam’s Club, Sears, as well as others use the ETL Mark. Since the ETL Listed Mark is a recognized and accepted indicator of a product’s compliance to safety standards, retailers, inspectors, or Authorities Having Jurisdiction (AHJs) all accept ETL Listed Products. ETL is a continuous process that can cost upwards of $80,000.